Just as every tennis player is different, the types of tennis shoes are varied. 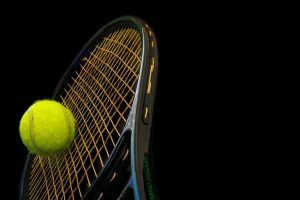 While there are a number of things to think about, your tennis playing habits will dictate which shoe is best for you. Most brands separate their shoes into categories regarding court type and foot shape. For instance, if you are looking to play on all clay courts, you will need a shoe built for that environment. Additionally, depending on your preference, there are a number of different materials to choose from. These can include anything from canvas, to EVA, to polyurethane, to vinyl, to leather. Your personal needs and style will dictate which appeals to you most. Some types of tennis shoes are also built for a specific type of foot. If you have a high arch, you will be choosing totally different shoes than someone with a flat foot. One of the most important difference between types of tennis shoes is the type of court they are built for. 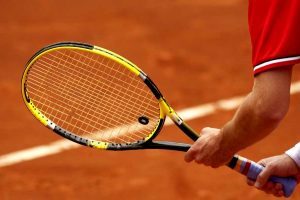 Tennis shoes can be made for hard courts, clay courts, grass courts, or all courts. For hard courts, you will need a type of shoe that is non-marking to avoid scuffs. With changing directions, both your shoes and the court can be scratched. Hard court shoes also tend to have more cushioning and shock absorption. 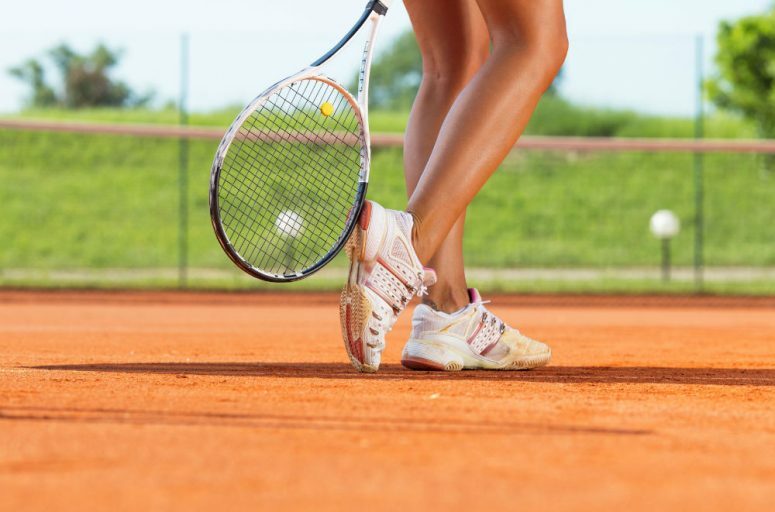 Since tennis can be hard on your feet, hard court shoes provide needed protection for your feet and joints. Tennis shoes made for clay courts tend to be lighter material as they do not need to protect as much from the hard ground. Since the ground itself has more give than a hard court, your feet need less cushioning. Additionally, clay can be slippery, so clay court tennis shoes have treads that give much needed grip. The grips, however, are far enough apart that they do not clog with clay. Grass court tennis shoes also provide needed traction on the court. Their treads, though, tend to be a little shallower so as not to dent the grass. Like clay court tennis shoes, shoes made for grass courts also are light weight. They are typically made from synthetic materials and mesh. Most brands of tennis shoes also offer all court tennis shoes. These shoes tend to incorporate many of the aspects of the others. If you are not planning on playing professionally or on a specific court, this type of tennis shoe is a good bet. Tennis shoes come in a variety of materials as well. While some materials are better for certain court types, personal preference and foot shape are also important for material. Canvas shoes tend to be light weight and very breathable. These shoes do not always have the best integral support, however. 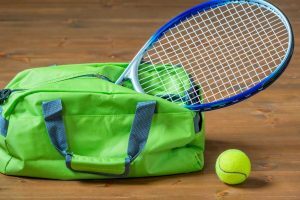 If you do not need the added support, then canvas tennis shoes are a great option for warm weather games. For people with high arches or other foot concerns, tennis shoes made of EVA are a good choice. They are light weight, but also offer the most support and cushioning. EVA tennis shoes do, though, deteriorate quickly as they are a light weight synthetic. Leather tennis shoes tend to run the most expensive of any type of tennis shoes. This type of shoe is that they keep your feet dry and are supportive. They do not, however, breathe well. Vinyl tennis shoes are a more affordable alternative to leather shoes and offer the same benefits. 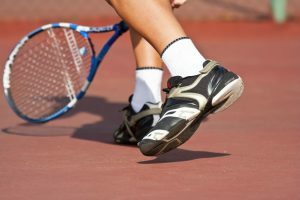 Polyurethane shoes are most likely the heaviest type of tennis shoes, but they are durable and stable. Polyurethane tends to be used for the soles of shoes because of its durability, but it is much heavier than the other options. While there are a number of types of tennis shoes, the most important factor is whether they fit your needs. Tennis shoes are as varied as the players. 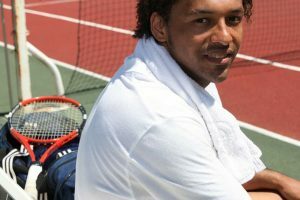 Tennis players have different individual needs. 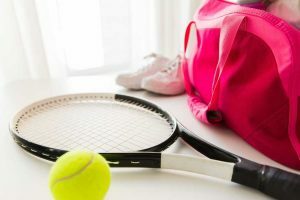 There are different types of tennis shoes for each need. Find the type of shoe that fits yours specifically. 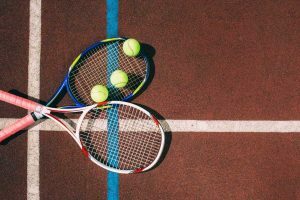 Depending on your type of court, there are different types of tennis shoes. For player who play on various courts, there are also all court tennis shoes to fit every need. Tennis shoes come in a variety of materials as well, allowing for personal preference and needs. 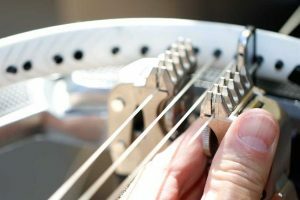 Ultimately, however, the type of tennis shoes you choose rely on your playing needs.